Just a quick update on these AMP connectors. 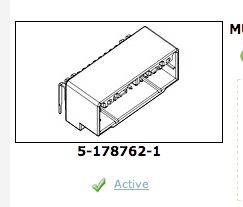 The OEM ECU has one 42 pin (42P) socket, or horizontal cap housing, but being a newbie to these connectors I just found out they we made as hybrids. So you got a mixture of pins, 040 and 070 varieties. Our bikes have a 26P hybrid on the left, and a 16P on the right. Nearly all 26P cap housing hybrids have a 6-10-4 arrangement when viewed from the front and going left to right. 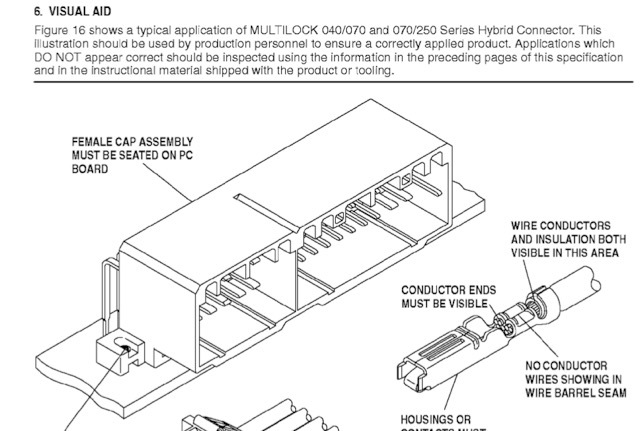 The 26P wiring loom hybrid plug was marked 10763 which it turns out was not a reference number you could search for, but I did find it on a pdf. 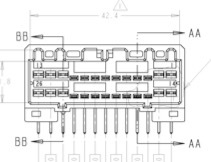 In order to interface the AMPSEAL connector I could buy a 42P vertical cap housing, sleeve the wires with shrink wrap and solder to the back of the 42P contacts. The other options are to use a 26P hybrid cap housing and a 16P cap housing or plug connector. 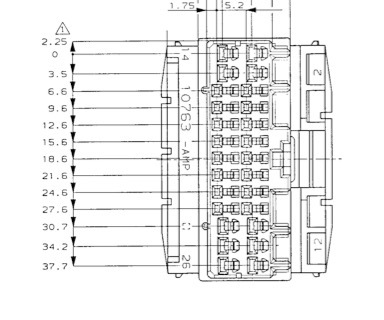 As these connectors were made some time ago, having a degree of flexibility is useful as availability and becoming obsolete is an issue now. 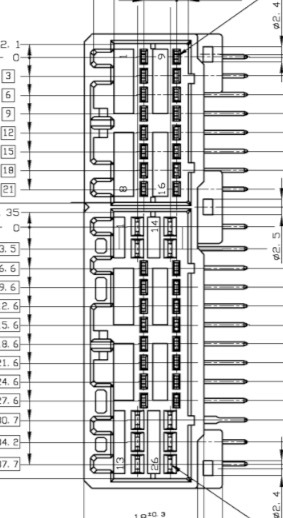 This is a reversed ECU connector.